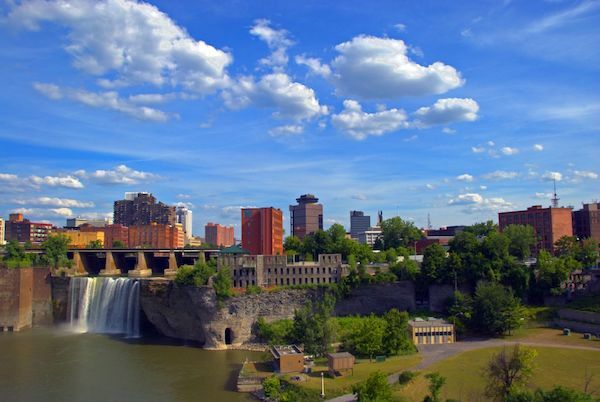 Rochester is the third largest city in New York state, with a metro population of ~1 million. It was one of America’s first boom towns, and rose to prominence as the site of many flour mills along the Genesee River, and then as a major hub of manufacturing. Today, it is a major university and corporate center. Rochester is a highly livable city, and the running scene reflects that. 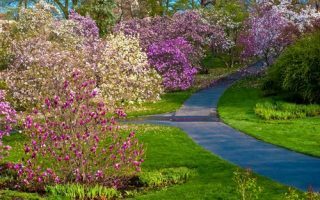 Our guide to running in Rochester showcases paths along the river and the Erie Canal, and many of the city’s wonderful parks. 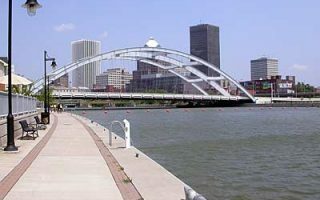 Rochester has a great running scene, with many running groups and running events. 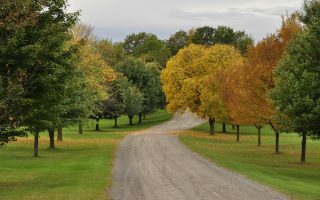 The best places to run in Rochester are along the Erie Canal, the Genesee Riverway Trail & Genesee River Greenway, and several extensive parks, which also feature some good trail running. The section of central Rochester, around University Ave. & Park Ave. (‘East End’), is also lovely for running. There’s good running in some of Rochester’s immediate suburbs, so a car is helpful. Public transport in Rochester (the RTS) consists mainly of buses, but the system is pretty good in the immediate metro area. A centrally located Regional Transit Center is a good locus point. One thing to be aware of is Rochester’s weather. It’s is one of the snowiest cities in the U.S., averaging nearly 100 inches per year. It’s helpful to know what paths are cleared of snow in winter. Wonderful, mainly flat running along this historic 360-mile trail. 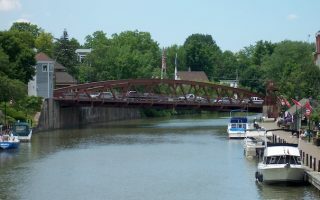 The path runs through many parts of greater Rochester, including the "Canal Towns". Mix of paved and unpaved. We've mapped 33 miles between Brockport in the west to Fairport in the east. Wonderful trail, running 15 miles from the Erie Canal to Lake Ontario. 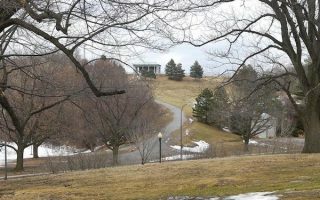 The most centrally located section runs from downtown south to Genesee Valley Park, near URI. Historic bridges, Olmsted-designed parks, waterfalls, and a gorge. A southern continuation of the Genesee River Trail, the Greenway runs for nearly 90 miles through five counties. Closest section to Rochester starts at Genesee Valley Park. The cinder trail features small towns, valleys, and gorges. Good hill running opportunities and a 3/4 mile reservoir loop that's lit at night, just south of the city. Adjacent Washington Grove has paths around lovely large oaks. Get a taste of Lake Ontario in this 1,000 acre park just 7 miles north of Rochester. Highlight is the waterfront running along the 2.2 mile Lake Ontario State Parkway Trail. Several other hilly, interior trails as well. 2,500 acre park in Monroe County. Great spot for trail running and hill running. Several marked loops, ranging from 0.5 to nearly 5 miles. Popular for nordic skiing in winter. Rochester’s weather is influenced by latitude and lakes. It is one of the snowiest cities in the U.S., averaging nearly 100 inches per year. Average January high temperatures are in the 20s (-4C) and nights are in the teens. So be prepared for cold and bring your yak traks. 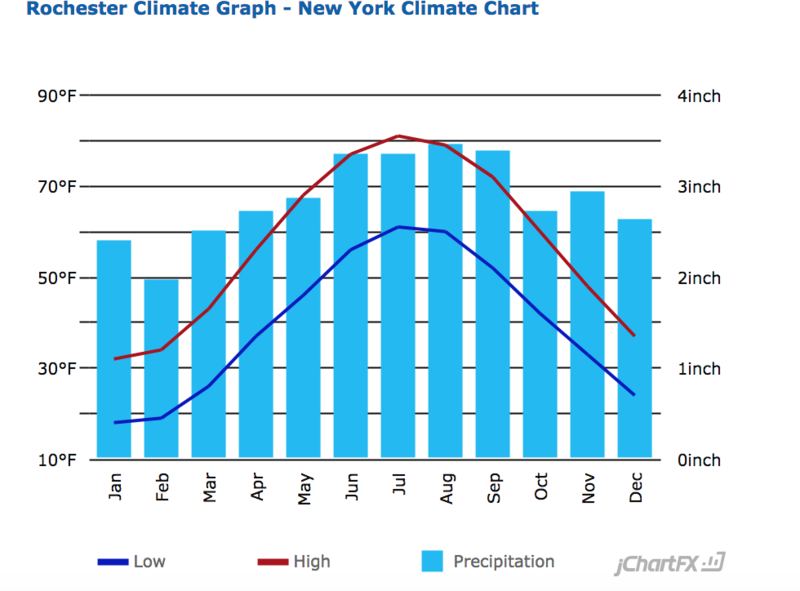 Summers are warm and humid, with average July highs near 80F (26C). 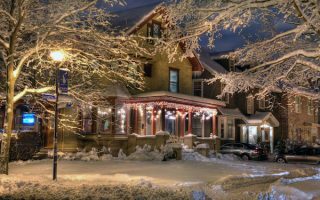 Rochester has a reputation for being one of the cloudiest cities in the U.S.
There’s a decent selection of hotels downtown. If downtown, try to stay near the river, to access the Genesee River Trail, or some of the nice running downtown. Another good option is near the airport and the University of Rochester, which provides access to Genesee Valley Park, Highland Park, Mt. 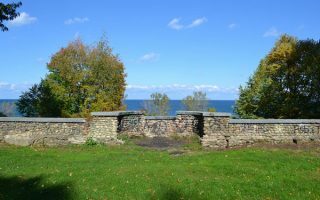 Hope Cemetery, the Genesee River Trail, and the Erie Canal. Try to stay as close to Genesee Valley Park if you want to be within ‘walking distance’ of good routes. Another hotel cluster is in Brighton/Henrietta, off I-390. 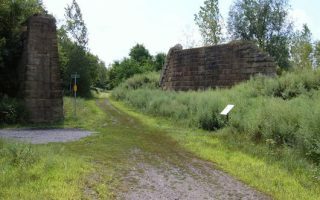 Try to stay in Brighton, close to the Erie Canal Path. Rochester Running Company. Group Runs: Multiple events per week. See their website for more info. Medved Run Walk. Rochester running store since 1984. Group Runs: Wednesday 6pm, Thursday Trail Running Series. They also sponsor several local running events throughout the year.